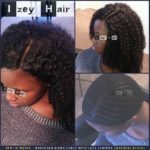 Sew-in weaves, Lace closures, bleached knots — FAQs for DIYs. 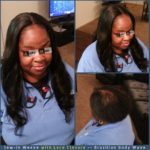 What type of hair should I use for this sew-in weave style? 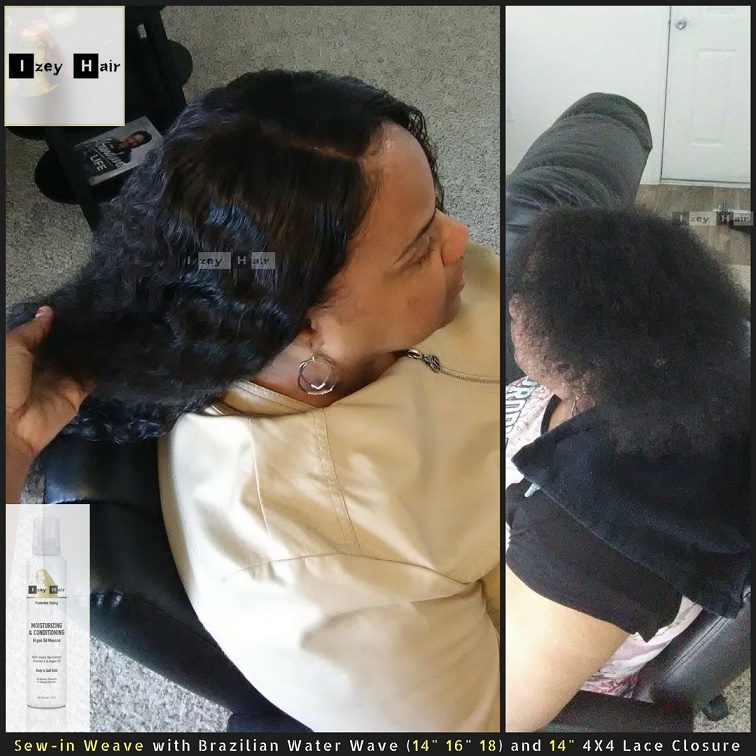 This is a Sew-in Weave with Unprocessed Virgin Brazilian Water Wave (14″ 16″ 18″) and a 14″ [4″ X 4″] Lace Closure. How many bundles of the Brazilian water wave hair should I use? 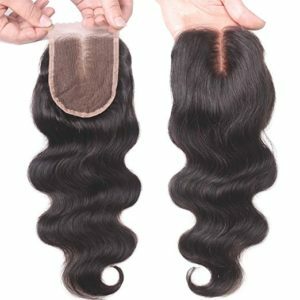 Between 2 and 3 bundles, plus the lace closure is adequate. With this client, I used 3 bundles and a 4×4 lace closure. 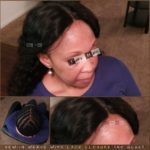 A lace closure is a piece of lace with individual strands of hair tied/knotted to it. It looks like a refined toupee. This piece is used exclusively for weaves ( sew-in and glue-in). 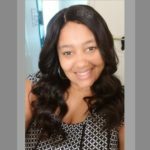 It replaces a leave-out, that is, the section of hair that covers the tracks, This way, most or all of the hair is braided up in this protective style. This process is done on closure pieces. The point where the hair strands are attached/tied to the lace is bleached using a bleach product manufactured exclusively for hair. Did you bleach the knots in this lace closure? The knots in the lace closure I used for this style are not bleached. Below is a photo of a bleached knot. 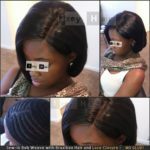 Why bleach the knots of a lace closure? The knots are bleached to give it a more realistic appearance. The knots are typically darker and bleaching it makes it appear as though it is growing out of your scalp. What are the disadvantages of bleached knots? This method has a few drawbacks. One is it is hard to bleach the knots if the hair is a bit darker than natural brown. As we know, unprocessed virgin hair, without any coloring, comes in natural black and natural brown. The bleached knots in the black will look a bit more unrealistic. This process works better with brown hair. The second drawback of bleached knots is the tone of the lace underneath. The goal is to make it look realistic, that is, it should look like it is growing out of your scalp. With bleached knots, it is hard to match the actual tone of the individual. What is the purpose of creating a scalp illusion if the tone of the scalp does not match the forehead or the rest of the face? 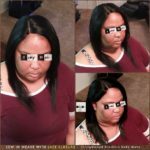 One effective way to make the lace closure look more natural is to not only create a natural density, which is done by plucking, the individual’s foundation makeup should be applied sparingly to the part of the lace that’s exposed, using a Qtip. This way, the tone of the knots and lace will match the skin tone of the individual. How did you style this lace closure? This was originally a free part closure. My client wanted a middle part. So I separated the hair in the middle. I applied foundation makeup to the exposed lace, and I plucked a few strands to reduce density. 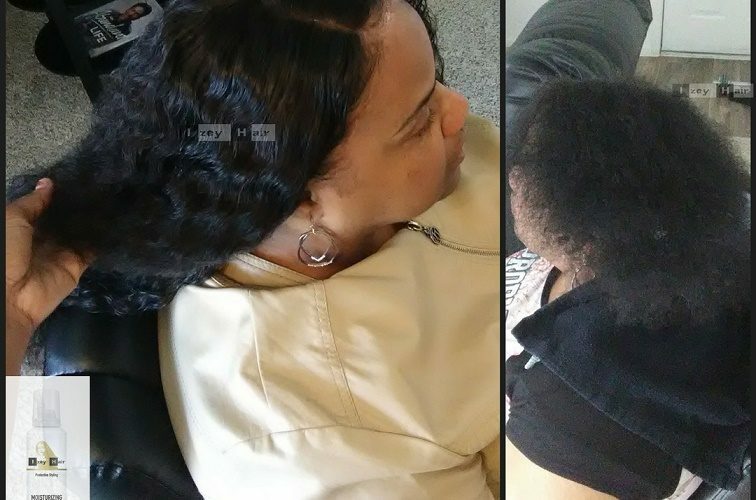 I created baby hair by shear shaving some of the hair in the front and applied edge control. 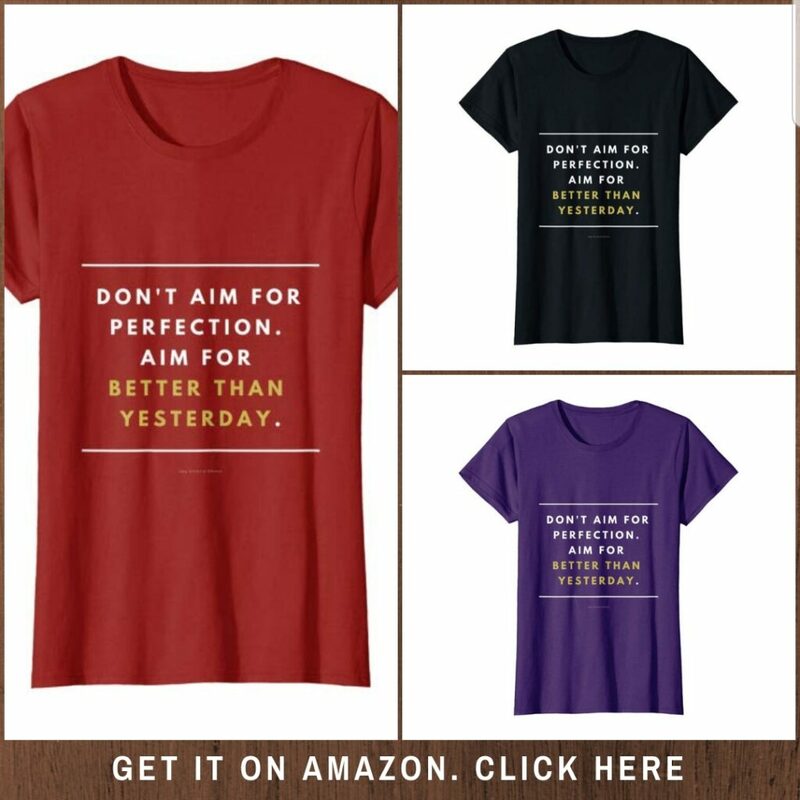 Sign up for new post notifications.